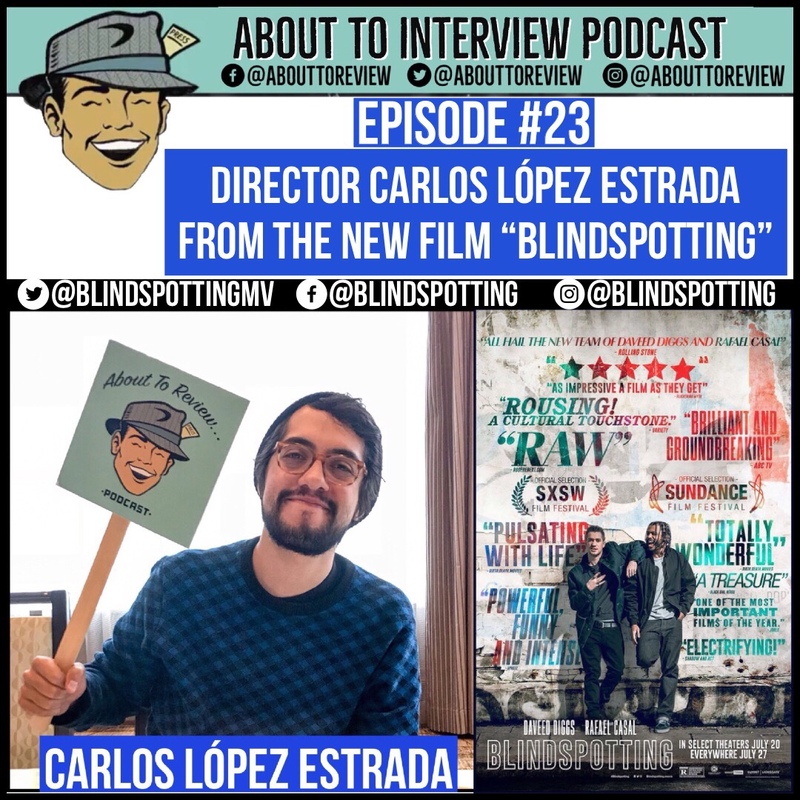 This episode of the “About To Review”/ “About To Interview” podcast features my conversation with director Carlos Lopez Estrada from the new film “Blindspotting” starring Daveed Diggs and Rafael Casal! This interview took place during the 2018 Seattle International Film Festival (SIFF). Make sure to watch the video version of these interviews on the About To Review YouTube channel! This intense and incredibly timely movie was co-written by Diggs and Casal, loosely based on really interactions they have had in their life growing up in Oakland. Lopez takes those themes and runs with them in what was one of my favorite films of the 2018 Seattle International Film Festival, and will most likely be in my top 10 films of the year. 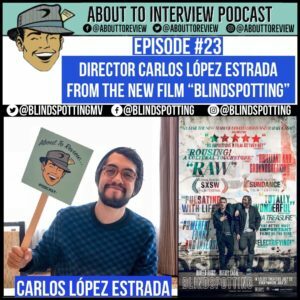 Carlos and I talk about his inspired color choices and symbolism that is repeated during the entire course of the movie, and what it was like telling such a personal story while staying objective. Thank you so much to Carlos Lopez Estrada for making the time to talk with me during the Seattle International Film Festival!